This stunning home occupies a remarkable setting with a sweeping outlook across valley, hills and mountains. Designed by Peter Hawtin Architecture and built by McLeish Construction in 2016, the building utilises cedar and Central Otago stone to create a home that speaks to its environs while making a bold contemporary statement. Supermarket and cafés are less than 10 minutes away in Halswell, while outdoor pursuits (including the Christchurch Adventure Park) are on the doorstep. Inside, the bold street frontage evolves into a rich palette of materials including stone, glass, statement wallpapers and sumptuous textiles. A beautifully composed open-plan living space is the heart of the home, opening to outdoor living at the front and rear. A sleek German Pallazo kitchen with scullery makes light work of entertaining, while the dining space is flanked by a choice of casual sitting areas. Huge glass sliders open to the view, ensuring seamless flow to a wraparound terrace. A double-sided gas fire connects a separate lounge with its own terrace access. The palatial master enjoys dreamy views and an en suite, while three more bedrooms share a stunning family bathroom, there is also an additional powder room. 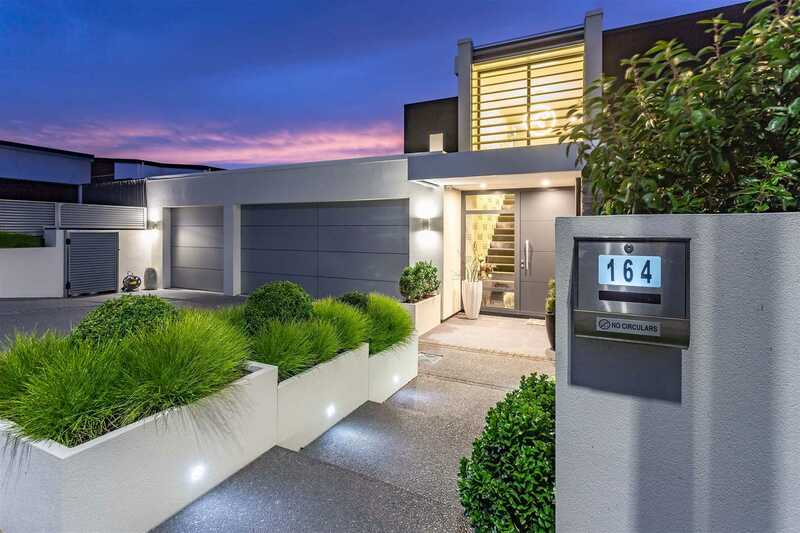 A laundry and triple internal-access garage complete this superb home on a landscaped 708 sqm site, landscaping by Debbie Rimmer. Zoned for sought-after Cashmere High, this remarkable property excites the senses at every turn. Don't miss the chance to make this contemporary masterpiece your own. Contact the agent to view. Fixtures/chattels excluded: Fridge (Sharp) - negotiable. Washing machine, Dryer - excluded.